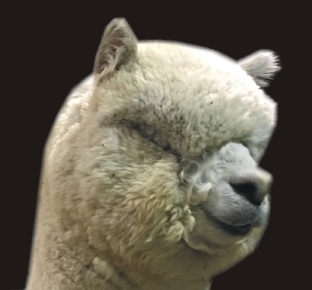 We are please to announce out co-ownership of High Plains Tornado's Torrific with Rhonda and Kern Deschner of Tierra Prometida Alpacas. Torrific is an exceptional male with outstanding character, excellent organization and blinding brightness. He has excellent conformation and superb phenotype. Torrific's 2018 skin biopsy donce by Dr. Norm Evans showed well above average density for a large male. Many males with similar to higher density are smaller framed males. 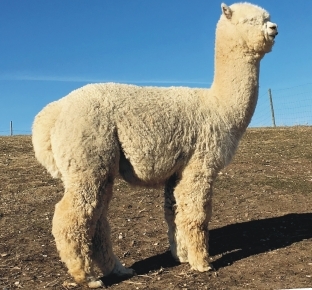 Torrific'sÃƒÆ’Ã¢â‚¬Å¡Ãƒâ€šÃ‚Â 15x scan shows numerous typical fiber clusters to be very uniform in shape and placement within his connective tissue which is a fiber trait likely passed from his dam. His true density based on his BCS measures 76 follicles SQ MM of skin. 25 typical fiber clusters measure an average S/P of 11.2 to 1. His S/P view shows 8 typical fiber clusters indicating level 4 of 4 gland presence which based on history seems to be a strongly passed male trait associated with bright healthy fiber. This S/P view also includes a triad fiber cluster seen with alpacas with greater density. His last scan measures the average size of his primary to secondary fibers from typical clusters. 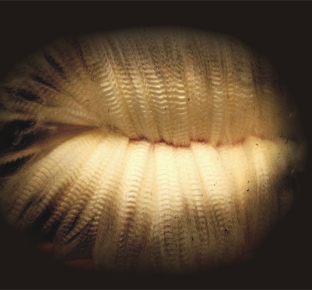 100 typical secondary fibers averaged 17.3 microns while 50 typical primary fibers averaged only 21.4 microns. This results in an S/P spread of only 4.1 microns indicating great uniformity of micron size. As a 4 year old male this small spread may be his strongest genetic trait as this ratio seems to be strongly passed from males to their offspring. The average S/P spread that I measure in mature huacaya males is 9+ microns. His average fiber diameter based on my stats is 17.66 microns. Note on all his scans that virtually none of his secondary fibers show medullation as noted by the stained red medulla cells in the center of his fibers. Torrific shows Wow fiber stats. I appreciate the opportunity to measure a male of this caliber. We are offering a special breeding fee of $2,000 for the first 10 breedings sold. Thereafter, his stud fee will go to $2,500. Contact Rhonda or Mario and Bill for more information.